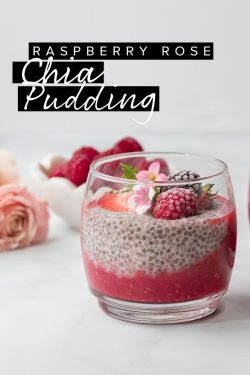 You just have to try our Raspberry Rose Chia Pudding! Place the raspberries and honey in a blender and blend until smooth. Set aside. Place all of the remaining ingredients except the raspberry mix in a bowl and mix to combine. Stir in ¼ cup raspberry mix. 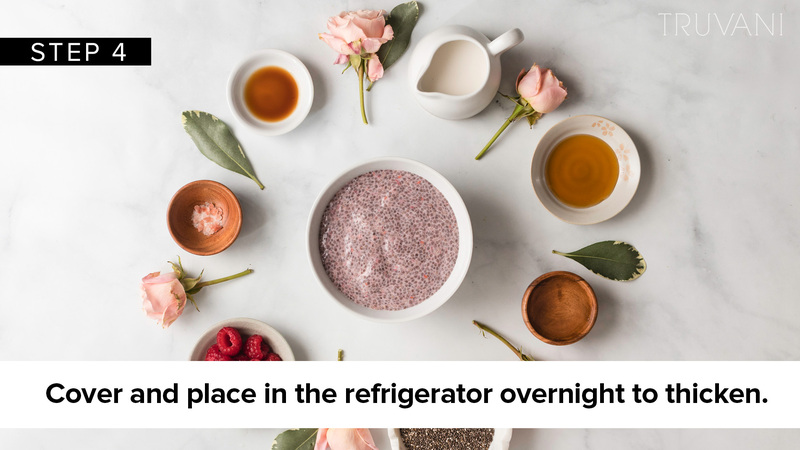 Cover and place in the refrigerator overnight to thicken. 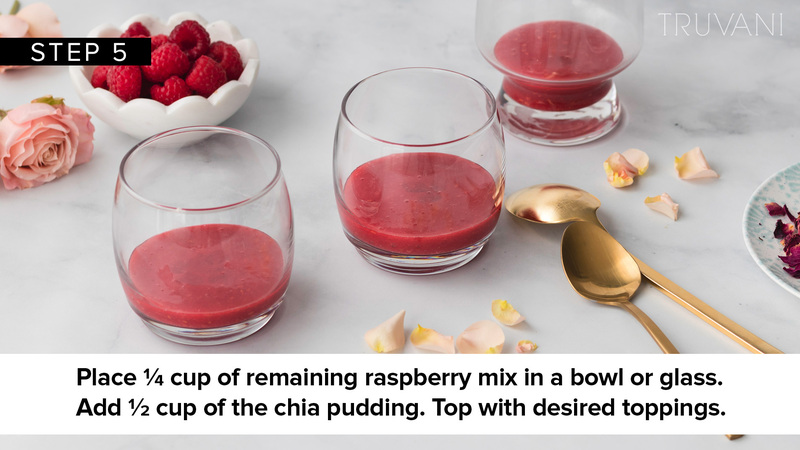 To serve, place ¼ cup of remaining raspberry mix in a bowl or glass. 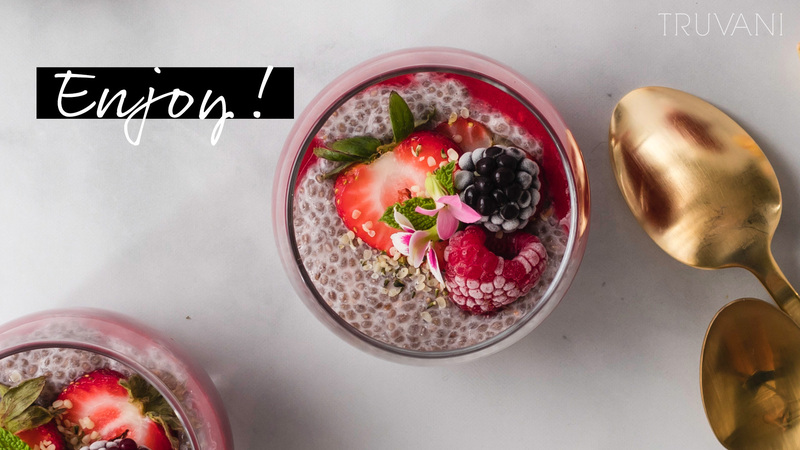 Add ½ cup of the chia pudding. Top with desired toppings. Enjoy! 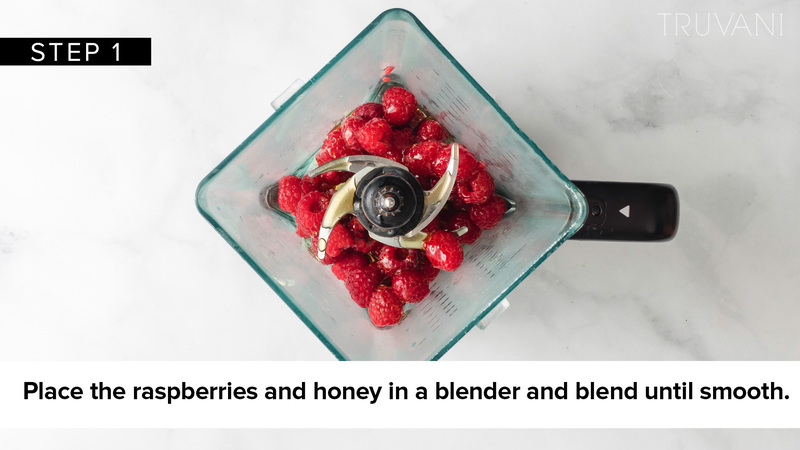 Step 1: Place the raspberries and honey in a blender and blend until smooth. 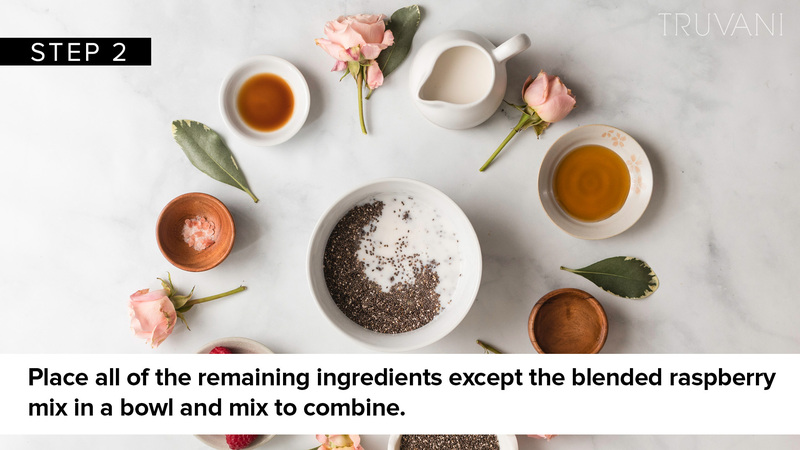 Step 2: Place all of the remaining ingredients except the blended raspberry mix in a bowl and mix to combine. Step 3: Stir in ¼ cup blended raspberry mix. Step 4: Cover and place in the refrigerator overnight to thicken. Step 5: Place ¼ cup of remaining raspberry mix in a bowl or glass. 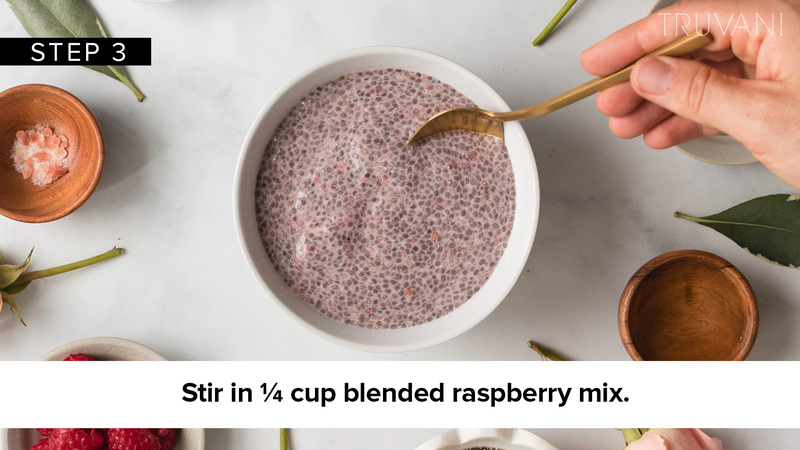 Add ½ cup of the chia pudding. Top with desired toppings. Too Late? I don’t think so! I’m 85 and I’ve almost through the first package! 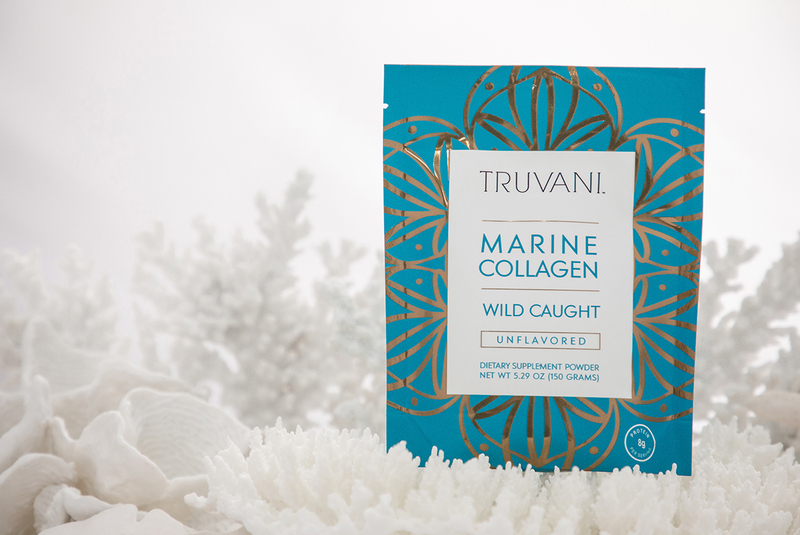 I didn’t post any Truvani #Mugshots for the Truvani Challenge but I’m still going along with taking it. I see my nails and skin changing for the good since being on it!